Watching all the movies on the Warner Bros. 50-movie box set that I bought for cheap. 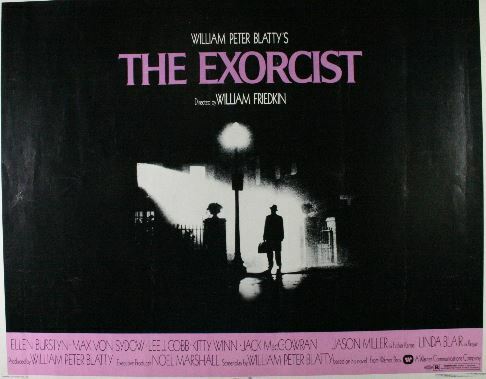 This week the random number generator serves up some delicious pea soup at it selects The Exorcist. Here’s what happens: Something is very wrong with young Regan McNeil. As her behavior goes from erratic to downright supernatural, her mother turns from medical science to exorcism, courtesy of the kind but troubled Father Karras and experienced demon expert Farther Merrin. Why it’s famous: Because it’s terrifying! The movie was a sensation when it debuted in 1973 (the day after Christmas, no less), as controversial as it was popular. 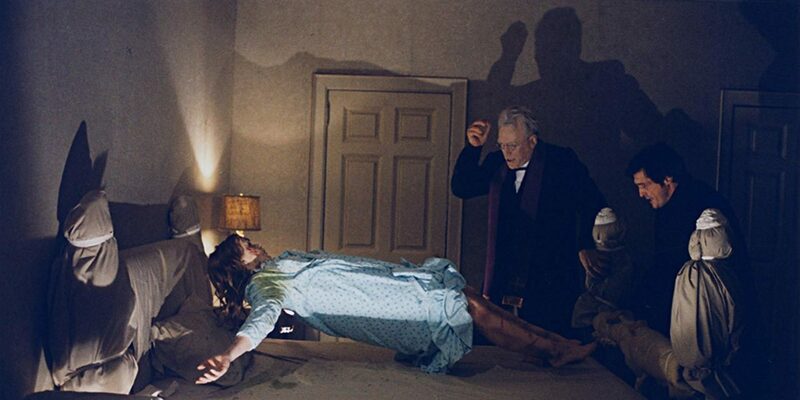 According to the internet, some cities even organized “Exorcist bus tours” to theaters to the see the flick. 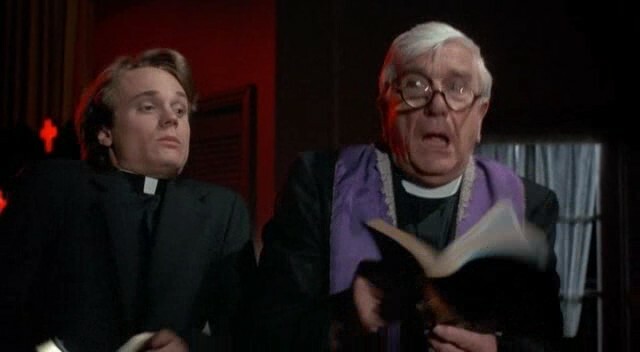 Get your film degree: All the action that goes down during the actual exorcism contains the big scares the movie is known for, but none of that works without the deliberate character-building and world-building in the movie’s first half. This eases you into the horror, so that you end up deep in the nightmare without even realizing it. Movie geekishness: The Warner Bros. box set contains only the extended cut, famously marketed as “The Version You’ve Never Seen.” I prefer the theatrical version (which you can also get on Blu-ray). The extended has Regan acting too creepy too soon. The notorious spider-walk scene is eye-popping but doesn’t really add anything. The new final scene is too on-the-nose by stating the movie’s themes outright rather leaving it to the audience’s imagination. 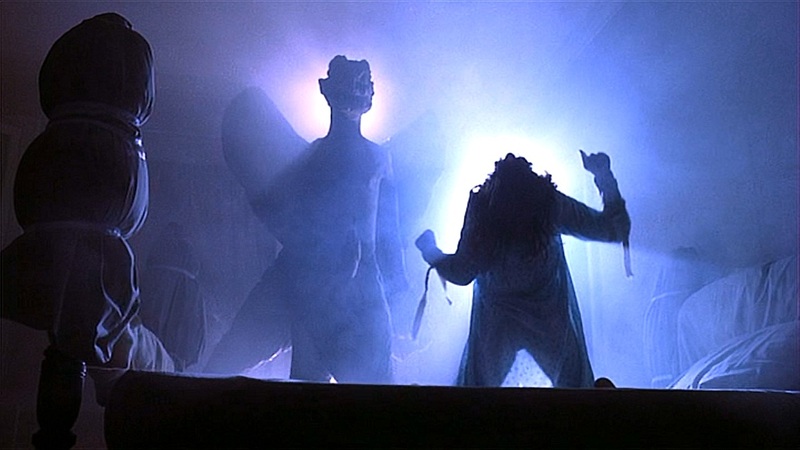 Thoughts upon this viewing: The Exorcist is a horror masterpiece, yet it doesn’t do a lot of what we expect horror to do. For example, a main character is killed off-screen, instead of it being a big scary set piece. 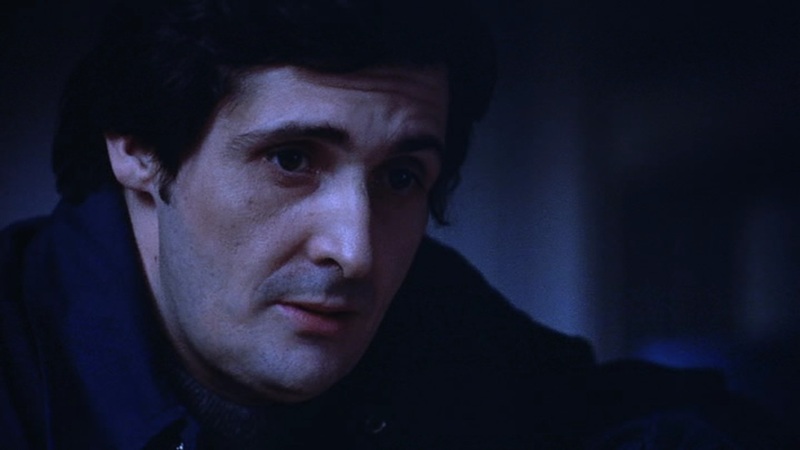 For as intense and over-the-top the movie gets, it never forgets the human drama. Next week: Hey, what are you doing with that pencil?